Ever since Google introduced Hummingbird update in the year 2013, there has always been some doubt about the value of keyword research. This has made a shift from keyword-focused process to a topic-focused process which prompted some to devalue the importance of keyword research as many feel that it’s not worth the time. If Google doesn’t require looking for keywords and if people don’t search with keywords, we don’t need to research them, right? Well, that’s wrong! 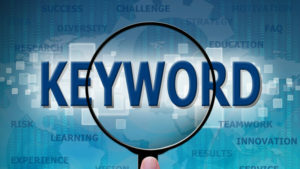 Read on to know some reasons behind the importance of keyword research. There isn’t any better way to get full control over a specific topic on which you want to dominate than performing keyword research properly. Whether you want to write a single article or a number of articles, keyword research will offer you possible information which the users feel interested in. You can not only write good content on your services and products, but you also get armed for your other content like e-books, blog posts and infographics. When it comes to dominating a specific niche, it is all about having the right answers to the user’s questions. Some great question answer sites are Clarity and Quora where people ask questions which require burning answers. Nevertheless, people still keep asking questions on Google as well and due to a low volume of search, keyword phrases which are questions seem to get ignored. Don’t disregard these questions as they can be the backbone of your content. Don’t you think that there’s always a space for improvement? By using the right keywords, you get a lot of opportunity to improve the already-existing content, irrespective of whether it is blog post or an optimized text or something else altogether. You may hence use keywords to improve the breadth and depth of your content and thereby attract more users. You can add in new information through the usage of keywords. One of the most important things which we often forget is to use keyword research for improving the navigation of your website. Not only can keywords be used to create new pages of content based on what the users need but you can also use the same keywords to become the link text for the navigation options. These are some of the well-proven ways of using keyword research and winning the favor of search engines.